Sacred Movement: White Swan Yoga Masters Vol. 1 CD compiled by Max Strom is music for yoga. Over 20 million Americans make yoga a regular part of their daily routine. Thousands of teachers throughout the US are introducing students from all walks of life to the clear-minded vitality and vigor that a regular yoga practice offers. 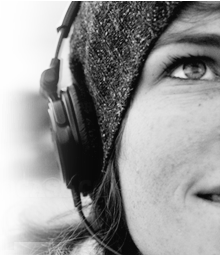 For many, music plays a key role in this yogic experience. Sacred Movement is the first in a series of music CDs sequenced specifically for yoga practice. Master yoga instructor Max Strom designed the program to “help lead people into their practice,” and selected music that he uses in his Flow Yoga classes at Sacred Movement Yoga Center in Los Angeles. Just like Max’s yoga sessions, the CD begins with a diverse and energetic progression of songs from Hamza El Din, Prem Joshua, Thomas Barquee, Stellamara and others. As the yoga sequence winds down, tracks by B-Tribe, Bruce BecVar and dj Cheb i Sabbah create an ethereal ambience, leading the practitioner into a nurturing state of relaxation. Max Strom believes that “yoga was designed to revolutionize our lives” spiritually as well as physically. 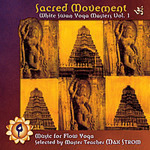 Sacred Movement then is not just a “music for yoga” CD. It is a set of deep, reflective music especially selected by a master teacher to assist with this healthful transformation.